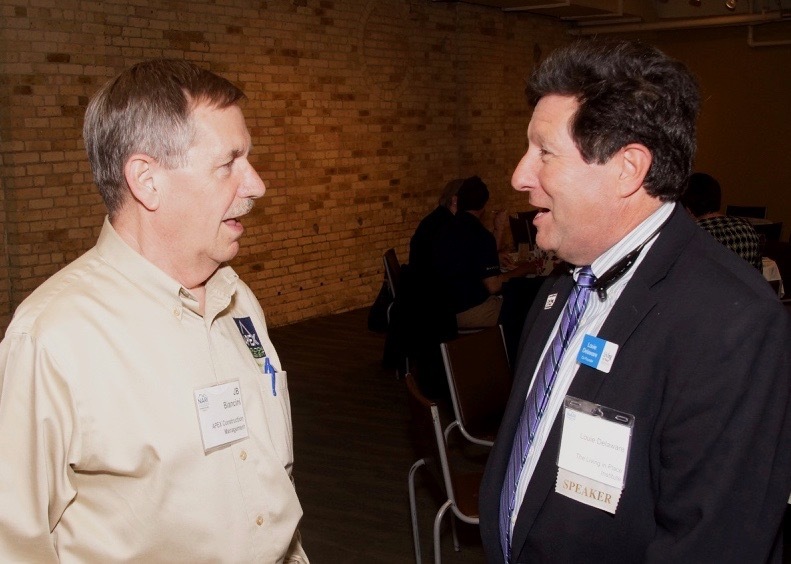 Although I earned my CAPS (Certified Aging In Place Specialist) credentials many years ago, I was eager to hear Louie Delaware from the Living In Place Institute in Colorado speak at the NARI MN meeting last week. I wanted to learn what’s new to help people live comfortably and safely in their homes for as long as they like. While the information was very familiar, marketing of the design principals certainly has evolved. If Louie is right, it’s more about what you don’t say to get homeowners to adopt and invest in accessibility upgrades to their homes. He expained that the movemement toward barrier-free living started in the 1950s. The American Standards Association published the first acessibility standards in 1961. By 1973 some 49 states had adopted their own rules. Federal guidelines came in 1984. The initial Americans with Disabilities Act (ADA) requirements applied to public spaces and businesses, not private homes. And many of the products designed to achieve accessibility looked decidedly institutional. The first focus was on people with physical disabilities. Later, the concept of Universal Design broadened the scope to benefit people of any age or ability. The idea was that accessible design could look attractive and make life easier, safer and more comfortable for everyone. That was followed by the “Aging In Place” buzzword, which spoke to the enormous Baby Boomer generation that wants to continue living independently in their private homes. According to Louie, the trouble is that most people don’t want to focus on aging; they prefer to think about living. Which is why he founded the “Living In Place Institute” to teach and certify contractors and designers. The principles are the same whether you call it Universal Design, Aging In Place or Living in Place. Good design is about more than good looks. It also should improve your quality of life at home, however and whenever that life changes. Here’s just one example from Louie’s talk. Install a GFCI-protected electrical outlet behind your master bathroom toilet when remodeling the space. Use it for a nightlight now. But it will be available to support a bidet toilet seat down the road. Louie claimed inability to take care of personal toileting is what causes many people to enter a nursing home. Bottom line, you can count on APEX to keep an eye on the horizon even if you a focused on the here and now. 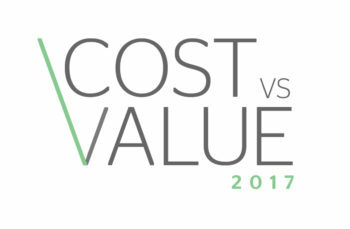 Each year, Remodeling magazine publishes its annual Remodeling Cost vs. Value Report. 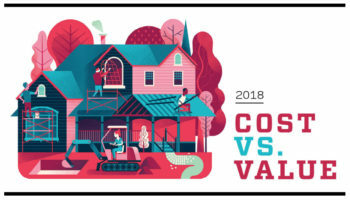 The study estimates the cost of 29 typical remodeling and replacement projects in various markets and asks Realtors to assess the resale value based on comparable homes (comps). For example, if two houses were identical but one had a recently remodeled kitchen, how would it impact the home’s sale price? On average, how much is remodeling expected to cost this year compared to last year and what will you get for your money? On average, how much more are the improvements likely to be worth? Which remodeling and replacement projects will recoup the greatest percentage of cost upon resale? According to the report, remodeling costs are up 3 percent this year and the average value of projects is up 4.2 percent. 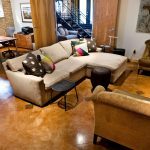 Resale value might mean more if you are a fan of HGTV’s Flip or Flop show or are concerned about over-improving your home. But items 1 and 2 send a clear message to Twin Cities area homeowners: You will save money by remodeling sooner rather than later, and our healthy real estate market means your return on investment (ROI) will be slightly higher this year. Not surprisingly, the report shows that Realtors still love exterior facelifts and curb appeal projects. It’s all about making a good first impression. 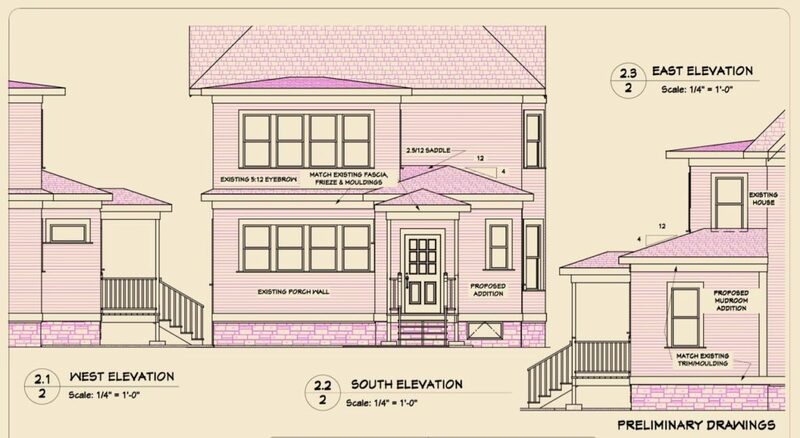 For instance, consider two side-by-side homes. 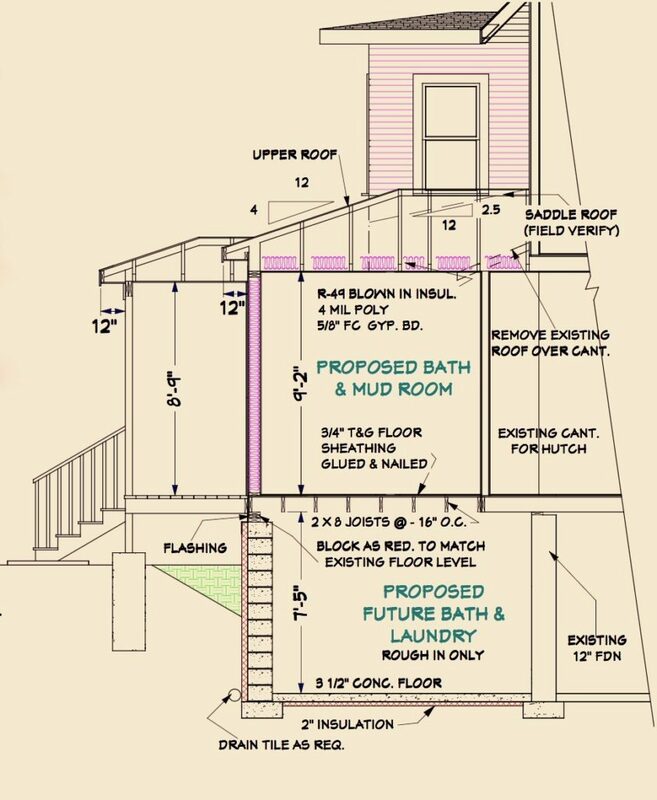 One has a modest stoop and an exposed main entry. The other has entry portico or, better yet, a street-facing porch. Guess which one is going to be more appealing to homeowners and homebuyers alike? The popularity of three remodeling trends is beyond debate: integrating interior/exterior living areas, universal design features that support aging in place, and adapting homes for multi-generational/multi-family living. But the report suggests financial ROI for these projects would not be as compelling as for some other projects. These are improvements with significant labor costs so it can be more difficult to recover those expenses. Remodeling divides projects into mid-level and upscale categories. In 2017, the top three mid-range projects include a steel entry door, attic sealing and insulation, and a minor kitchen remodel in that order. For upscale projects, the winners are garage door replacement, wood replacement windows and vinyl replacement windows. But none of the upscale projects came close to the mid-priced project’s ROI. Industry studies such as the annual Cost vs. Value Report provide interesting benchmarks, but it is important to remember what motivates most of us to remodel our homes — quality of life. Ever since I founded APEX, our core purpose has been to help our clients enhance their quality of life at home. It still is what gets me out of bed each morning. My point is that prospective homebuyers may value a new entry door or garage door, but it’s doubtful those are the projects that would truly elevate your quality of life. At APEX, we don’t need a national magazine study to tell us what delivers value. We simply listen to our clients. 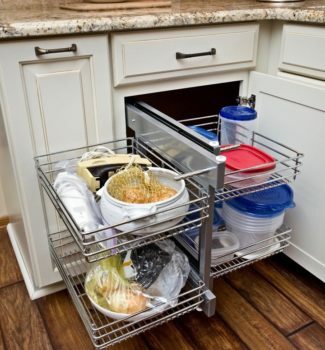 It’s the beautiful, high-function kitchen where they are proud to entertain. Or the finished basement that’s a magnet for their kids and friends. Or the sunny addition that quickly became their favorite lounging area. Or the enlarged garage and mudroom that made Minnesota winters tolerable. Or the new master bath with enhanced accessibility, lighting and storage. Perhaps the most important prediction, made by Remodeling’s sister company MetroStudy, is that with rising mortgage rates and home prices this year, people will be more likely to improve their current homes rather than invest their equity into buying new homes. Which takes us back to the beginning. 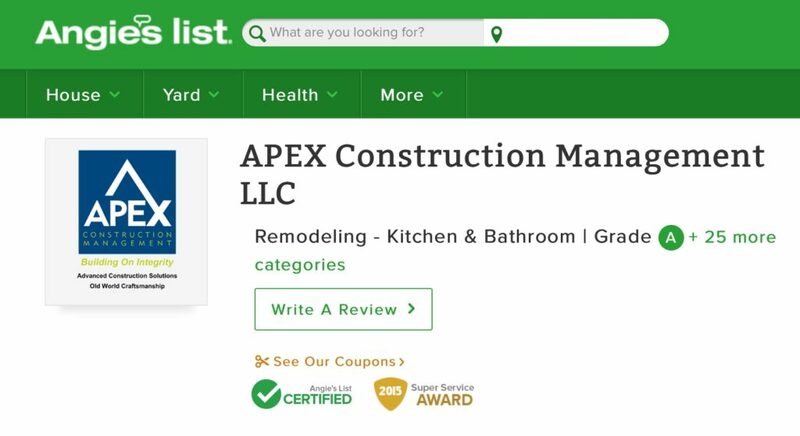 Angie’s List has stepped up its support for APEX Construction Management (APEX Design-Build) this month by granting us Angie’s List Certified status. This is in addition to the Super Service Award that Angie’s List gave APEX last year. Angie’s List Certified status is granted to companies whose licenses are in good standing, who have high scores on reviews and who have no state enforcement actions. Many factors go into the process of choosing the right contractor. The first step is to narrow the list of contenders. 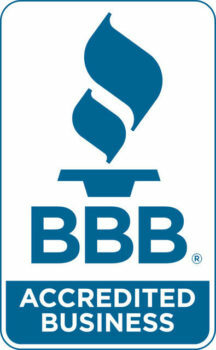 Online reviews and certifications can help to qualify a short list of companies worth contacting. 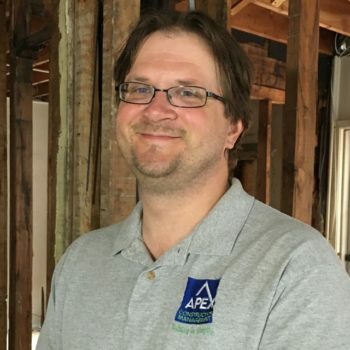 Now that Angie’s List membership is free, we encourage Twin Cities homeowners to join Angie’s so they can view the many APEX Construction Management reviews that were only seen by paid members in the past. We also encourage our clients to post reviews on Angie’s, Better Business Bureau, Houzz, Guild Quality, Google, Facebook and our own website. 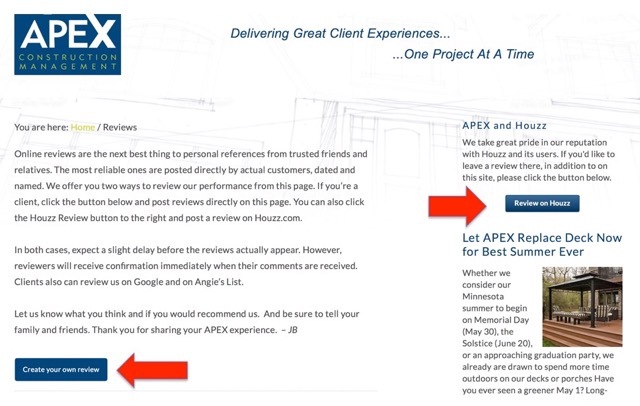 We still want clients to share their APEX experiences with family, friends and coworkers, but they can extend their influence far beyond their inner circle by writing an online review and pasting it onto the various review sites. Welcome to softer side of APEX Construction Management (aka APEX Design Build). In addition to remodeling kitchens and building decks this spring, we also designed and built a whole new APEX website. I hope you enjoy the more people-focused approach. 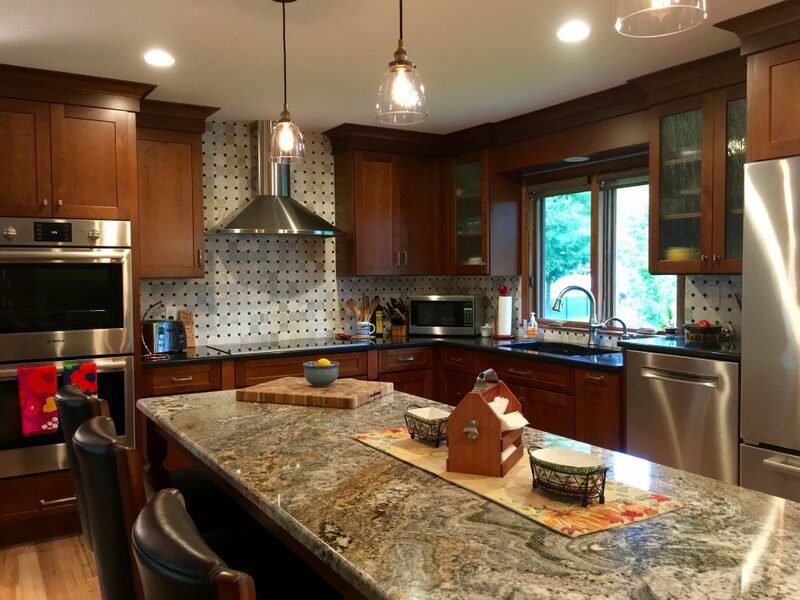 The new site employs bigger pictures, team member profiles and less clutter to showcase our talent and guide you through the remodeling process. It also provides convenient, blue buttons that clients can click to share their APEX experiences on the site and on Houzz. Please do me a favor and post your review today. 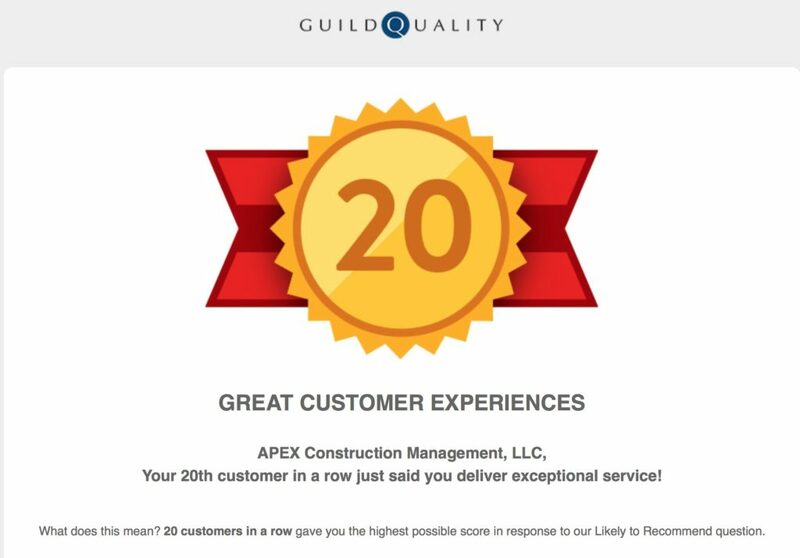 We launched APEX in 2005 to raise the level of professionalism in Twin Cities remodeling. We quickly developed systems to ensure reliable scheduling, budgeting and quality, but success always comes down to people. Is everyone on the APEX team doing his or her best work each day and feeling appreciated? And, most importantly, do we truly improve not just our clients’ homes but their lives? That’s why the new website shares a bit about Matt, Angie and me. We also plan to recognize our clients and enter their best projects in state, regional and national award competitions. After all, the best remodeling projects are collaborations. APEX clients are essential to their success. As my friends and colleagues know, I had cancer a few years back. They say what doesn’t kill us makes us stronger. That and the grace of God may be why APEX projects continue to energize and challenge me to embrace each day. So bring them on! The bigger and more complex the project the better. Don’t worry. 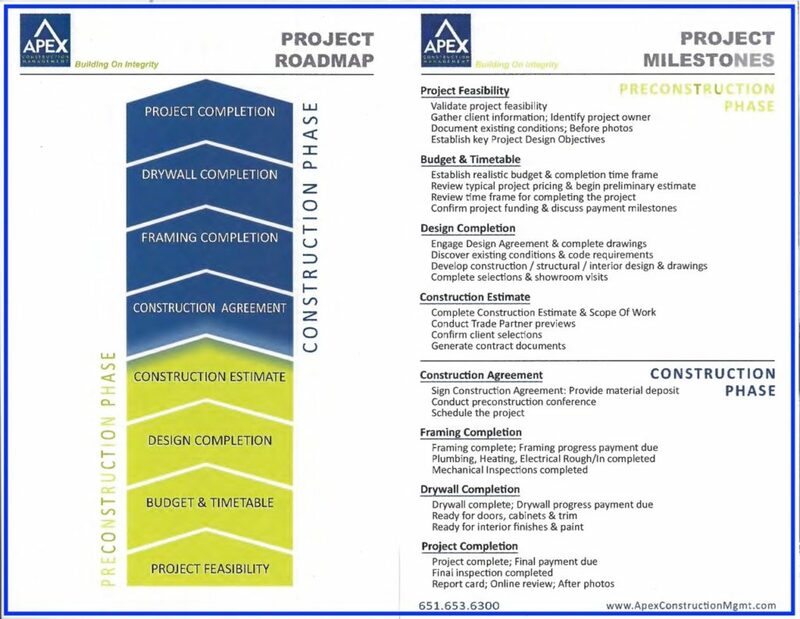 APEX continues to accept projects of all sizes, particularly from our past clients. We currently are capable of managing two large, two medium and two small projects at any given time. Call or email me if you are ready to improve your home. Finally, make a note that our new website address is www.apexdesignbuild.com and that my new email address is JB@ApexDesignBuild.com. We are not planning to change the company’s legal name, but design-build does a better job of capturing what we do. Besides, with my accent it’s a lot easier to say JB@ApexDesignBuild.com than to spell out JB@ApexConstructionMgmt.com. Here’s to your best summer ever.